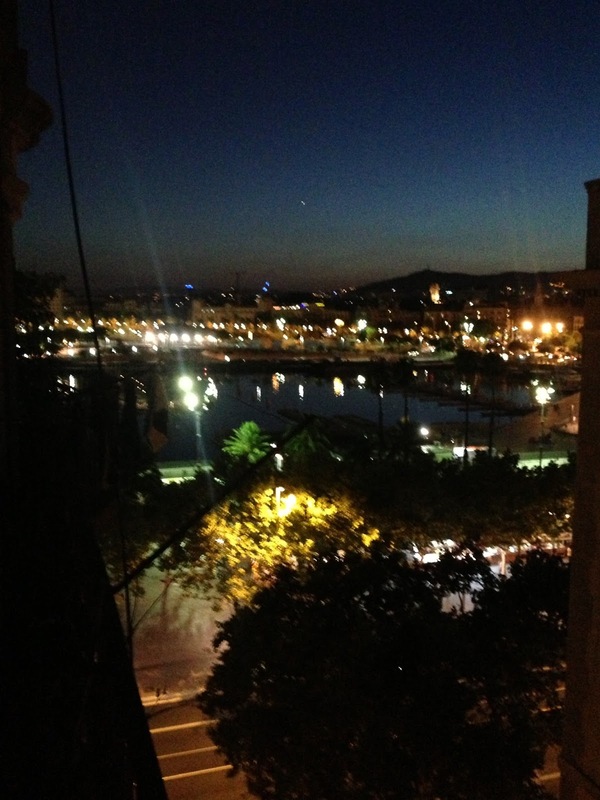 incredibly fed blog: Beloved Barceloneta! Say you and your Spanish eyes will wait for me.. "
OK, OK, we know the song is about Mexico not Spain but the lyrics seem to fit... well sort of! A week or two ago between a 60th birthday buffet and a 21st celebration the IF chefs had an opportunity to take a short break to carry out a little research and development in our favourite Mediterranean city - Barcelona. We were invited to stay at a friend's bijou penthouse apartment overlooking the harbour in the distinctive Barceloneta quarter of the metropolis. So temporarily forsaking our usual pied-a-terre (Jose's cool, contemporary and brilliantly designed Eixample flat on Avenida Aragon - which in any event was already booked) we were delighted to take up the offer to stay in Piotr's "Beloved Barceloneta!". Barceloneta is a self contained triangular city district which forms a promontory on the north side of Barcelona's impressive harbour. One side encloses multi-million pound sailing craft whilst another, more democratically provides accommodation on a sandy beach for anyone brave enough to attempt to find a patch sufficiently large to unfurl a beach towel and brave the blisteringly hot sunshine! Built on a grid pattern in the 19th century to house fishermen and their families, sailors and other dock workers it is a staunchly working class barrio, only thinly veiled by a waifer veneer of uber trendiness and paella tourist traps. Consequently the buildings are modest and the streets tightly packed but thankfully despite its increasing desirability amongst outsiders has not lost its wonderfully unique character. The landmark food market, which is the neighbourhood's centrepiece, has been recently refurbished beside a new civic square which in turn boasts a number of Michelin star eateries. Behind the flat there is a wonderful artisan bakery whose croissants would rival anything central Paris or Vienna has to offer and numerous querky resaurants which actively discourage "giris" (foreigners and tourists). 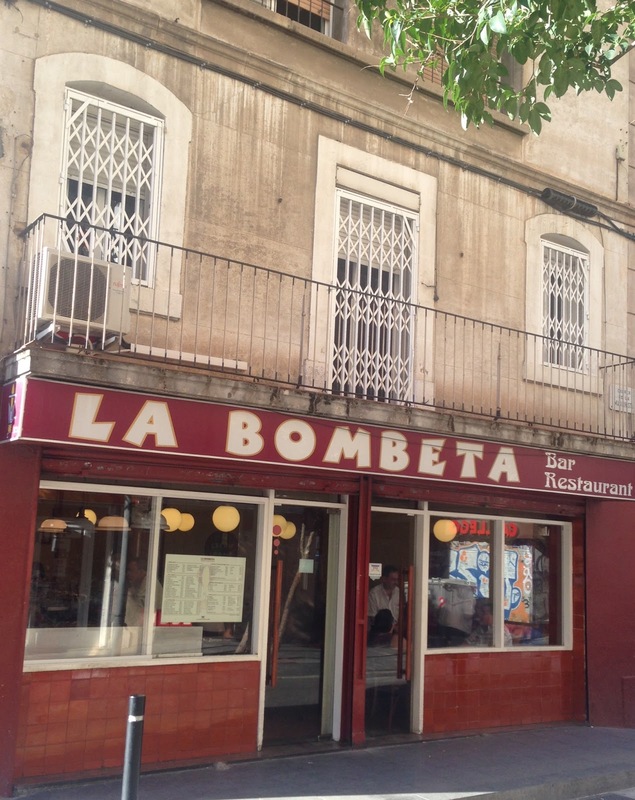 One of which, a favourite of Jose's, has no sign outside, serves soupy rice as its signature dish and started out life when one fisherman's wife was persuaded to cook a meal for the entire boat crew each time they returned to port! Even today you still get the overwhelming impression you are eating in some one's front room! 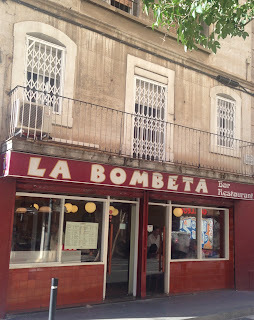 One of our favourites though does have a sign which says "La Bombeta" a tapas restaurant on the Calle de la Machinista with a wood panelled and formica 1950s interior straight out of la dolce vita and a hand painted sign proudly proclaiming that.. "we don't speak English but we make f***ing good bombas!" 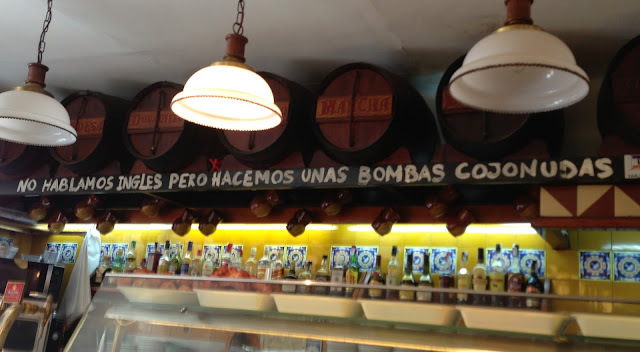 It was so true too, the maitre spoke Castillian and the bombas, croquettas and morcilla were out of this world! Try it if you get a chance but don't go late at night as you won't get a table! "We don't speak English but...!" On a slightly sweeter note the best ice cream on the peninsula was from a parlour Jose introduced us to, the newly arrived Vioko which proudly displayed all its flavours in three languages (Catalan, Castillian and English). We tried the hazelnut and an off piste grapefruit and jasmine both of which were delectable! Giris very welcome! 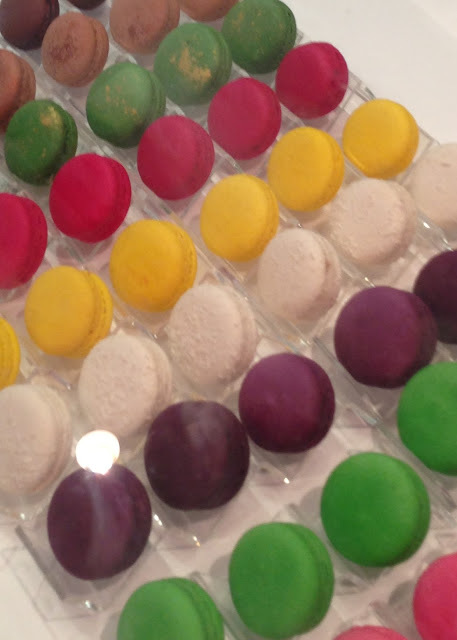 Further into the shop delicious dark chocolate was on offer whilst rows of colourful macaroons had all the appearance of Damien Hirst spots lined up and waiting to be applied to his latest canvas! On the beach front we had a delicious lunch at Kaiku very recommended. Further afield Jose took us to eat at two trendy new eateries Cornilia and Co on Calle Valencia which also has an interesting deli and wine shop and where we chatted to Cornilia herself who was taking a break and a quick bite at the next table, and the former Moritz brewery turned bistro on Ronda San Antoni near the plaza Universitat. This is a beautiful old beer factory now cleverly converted by the Moritz family into a large restaurant with a comprehensive and central Eurpoean influenced menu. The complex boasts a bakery and shop and still makes just enough beer on the site to fill the pitchers on the dining tables. It is well worth a visit.